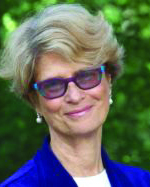 Janet Surrey, PhD is an Insight Dialogue Teacher. She teaches Insight Dialogue retreats worldwide and leads a monthly practice group in the Boston area. Jan has been a faculty member of Metta's Relational Insight Meditation Program and serves on Metta Programs' Teachers Council. Jan has studied with a number of Vipassana teachers for over 25 years, and has worked with Gregory Kramer since 2007. Her original teacher was Vimala Thakar, but Jan has also done many retreats with Thich Nhat Hanh and Joanna Macy. In 2008 she completed a two and a half year Community Dharma Leader training at Spirit Rock Meditation Center. Jan is a practicing clinical psychologist and founding scholar of the Jean Baker Miller Training Institute at the Wellesley Centers for Women. She is on the faculty and board of the Institute for Meditation and Psychotherapy. Jan is dedicated to a lifelong exploration of the power of relationships to create suffering and the power of relationships to liberate and transform suffering. Jan lives in Newton, Massachusetts.